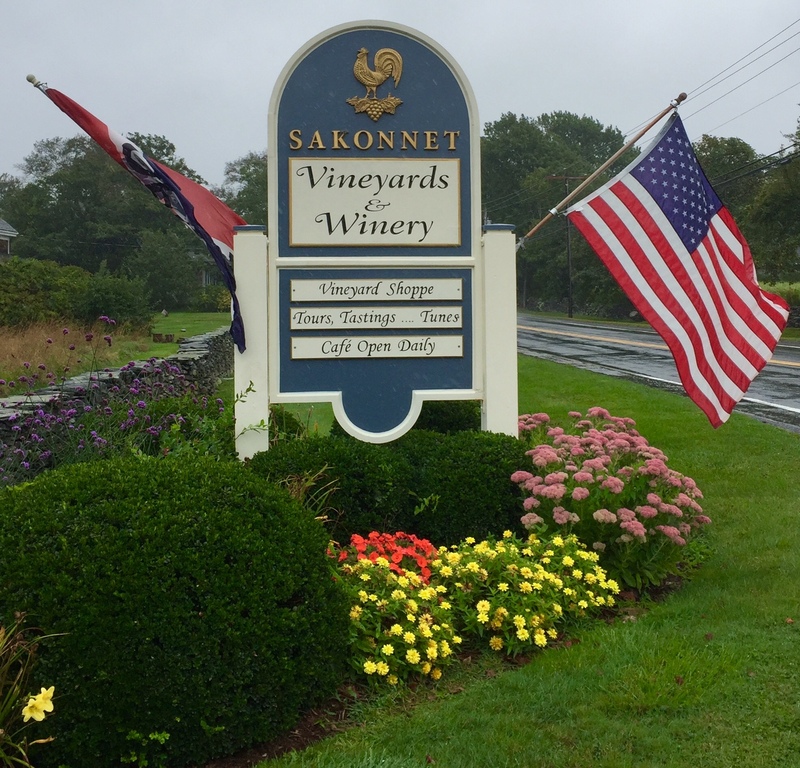 Years ago, before Alex & Ani founder Carolyn Rafaelian bought Sakonnet Vineyards in Little Compton, its success at creating quality wine was mediocre at best. I heard stories that the grapevines on the property were there just for show. The story goes that the land was contaminated, and they couldn’t use it for winemaking. So despite having this magnificent piece of property, just about all of their grape juice was imported from South America. To me, that defeated the purpose of going to a local vineyard. You expect them to grow the grapes and then use those grapes to make their wine. Fast forward years later, the property is now called Carolyn’s Sakonnet Vineyards, and their website claims that they make their wines from the grapes they grow on their land. Is this truly the case? Or is this a bunch of BS? It’s hard to really know for sure. 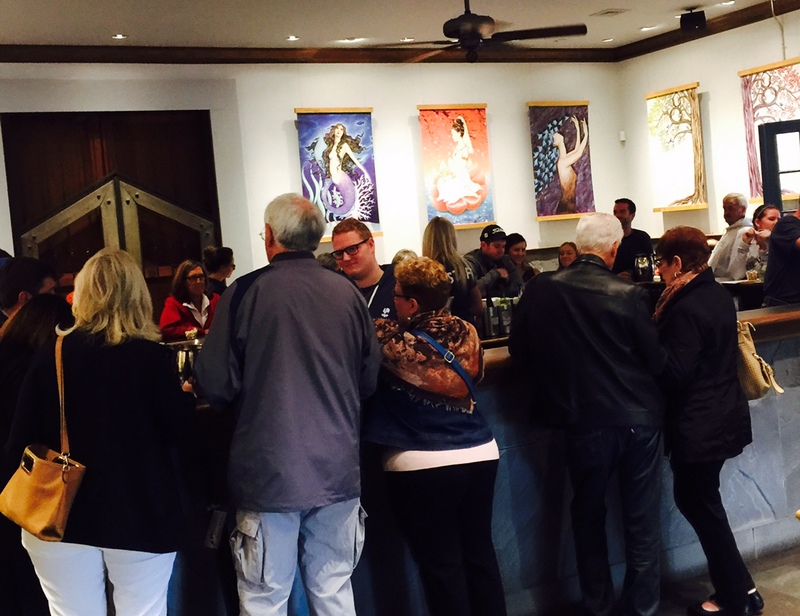 The tasting room is full, especially on rainy days! 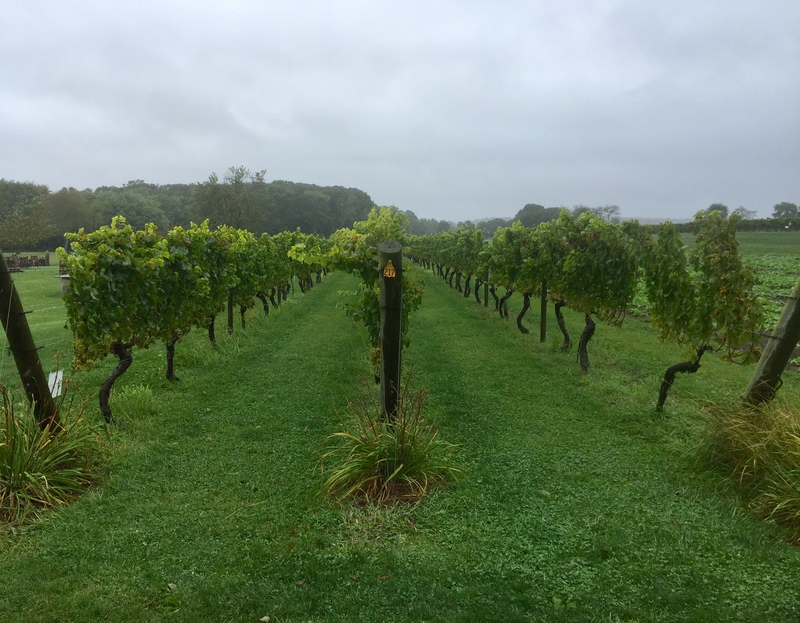 That issue aside, the vineyard seems to attract a lot of tourists, especially on rainy days when there isn’t a whole heck of a lot to do in Little Compton. Sampling a variety of wines, even if they’re not really that great, is better than sitting at home and watching television. And there is a café, which is open seven days a week through Columbus Day…and weekends through the winter months. That’s good to know, because there isn’t a huge choice of places to dine nearby. There’s a luncheonette and pizza joint in Little Compton Commons, and there’s a grill and sandwich place at Tiverton Four Corners. But that’s about it. 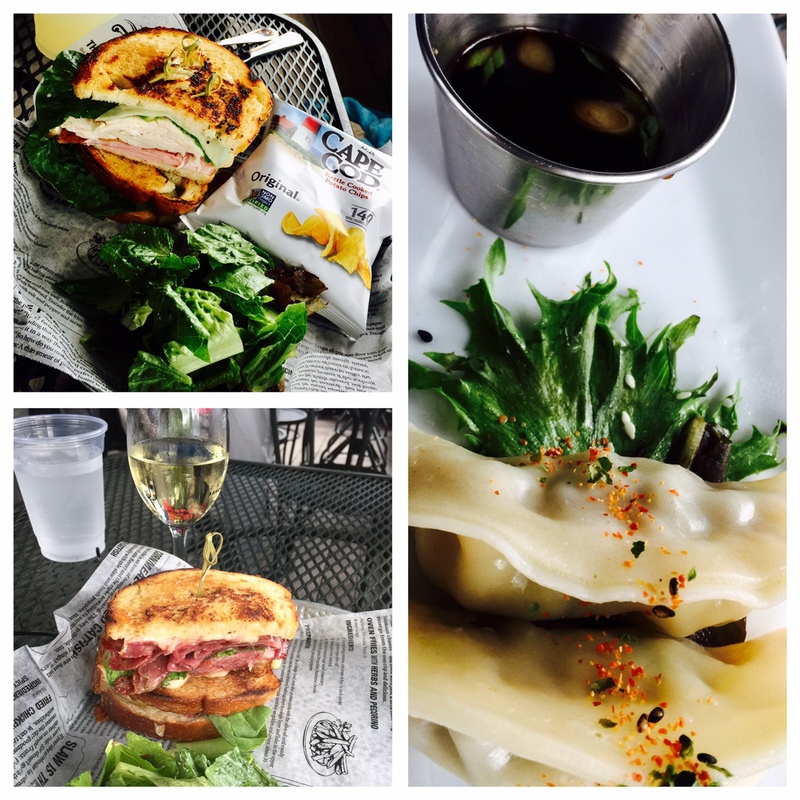 The café at Carolyn’s Sakonnet Vineyards serves up a tasty menu of freshly prepared sandwiches, flatbreads, salads and more. At a recent lunch, my daughter and I enjoyed their steamed pork dumplings as a starter. My daughter chose the Sakonnet Club, a turkey and ham sandwich on sourdough. I went with the Grilled Tuscan, which featured Genoa salami, capicola and soppressata and mozzarella on sourdough, all freshly made and grilled to melt the cheese. The table next to us had a bachelorette party, and all the gals there had different flatbreads, which looked really delicious…something to keep in mind for our next visit. Our sandwiches came with a light salad and a bag of chips on the side. I had a glass of mediocre Albariño with my lunch, but it served its purpose. All in all, a really nice lunch, and other things on the menu that I am looking forward to trying in the future. I didn’t taste more than one wine at the vineyard that day, so in all fairness, I need to make a return visit for that purpose. But for me, the best wines in the area are located down the road at Westport Rivers. 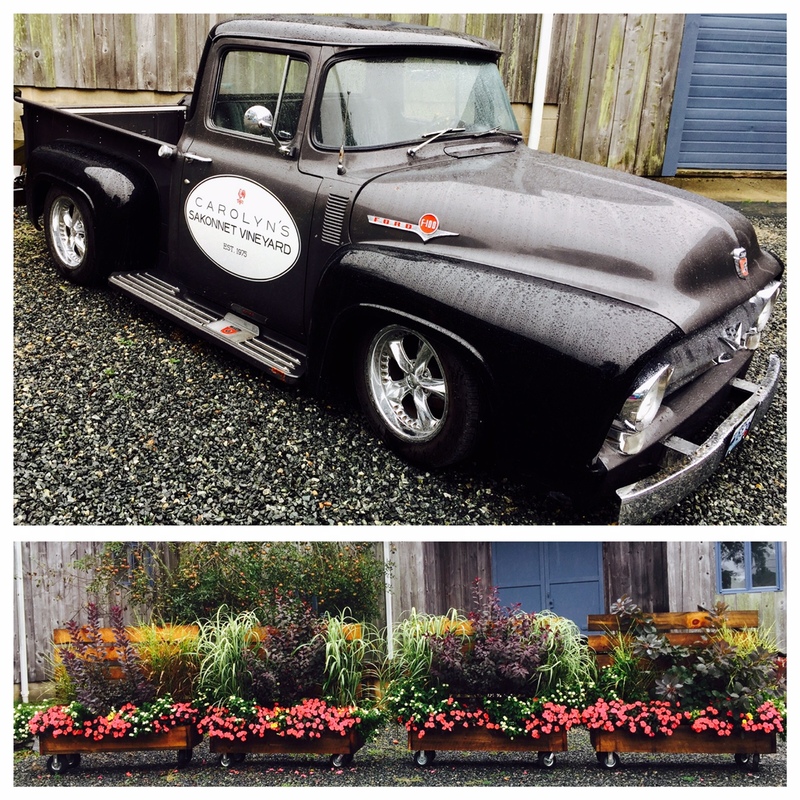 Although they don’t have the beautiful room and property that Carolyn’s Sakonnet Vineyard has, they more than make up for it in the quality of their wine.